We believe the purpose of our church is the reach the lost for Christ and equip them for His faithful service. As part of this purpose, our church has ministries to fit a variety of ages and backgrounds. Whether you are a child, a parent, or a senior citizen, we have a ministry in which you can participate and grow. Click any of the images below to learn more about a ministry. Our current Sunday School series is the Gospel Project - a chronological study of the Bible. Parents and children study the same lesson in their respective classes to promote discussion and understanding in the home. Our Awana clubs run from September through May. During our club meetings, children 3 years old through 6th grade memorize scripture, study the Bible, and play games together. From Creation to Revelation, our clubbers learn about the God we serve. Our youth group is made up of young adults from 7th grade through seniors in high school. Sound Bible teaching and a strong community encourage teens to become the person God wants them to be. Each summer, our church has Life Groups on Wednesday nights. This summer, our life groups will meet in homes in Mineral Wells, Washington, North Parkersburg, and at the church in South Parkersburg. 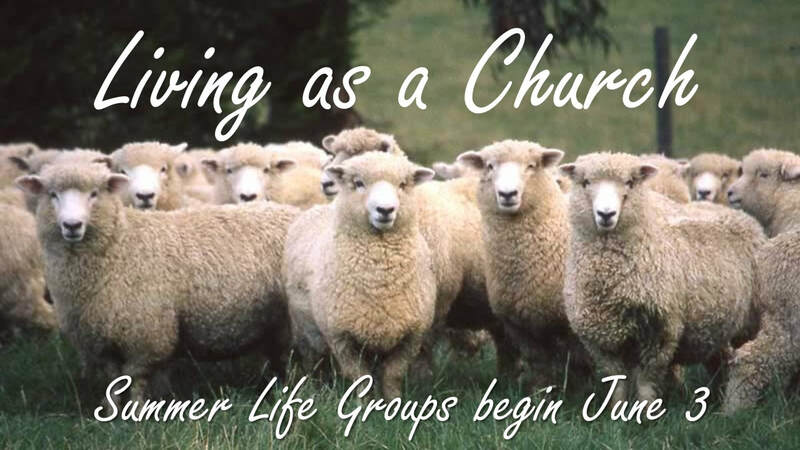 Our study this summer is, Living as a Church. Life Groups are a great way to build community and strengthen families! Our Senior Saints ministry is for folks over the age of 65. This group enjoys time together both locally and on trips to Oglebay Park, Amish County, and other fun destinations!